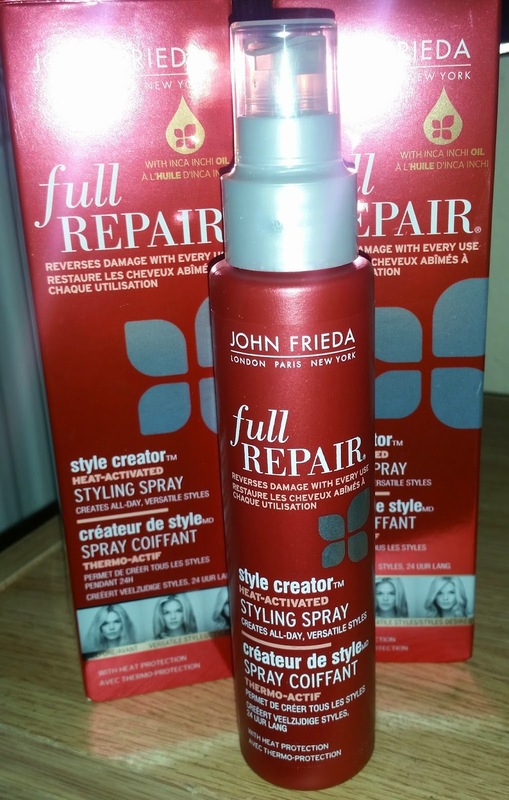 John Frieda full repair heat activated style spray is what i came across when the sale shelf was approaching me. 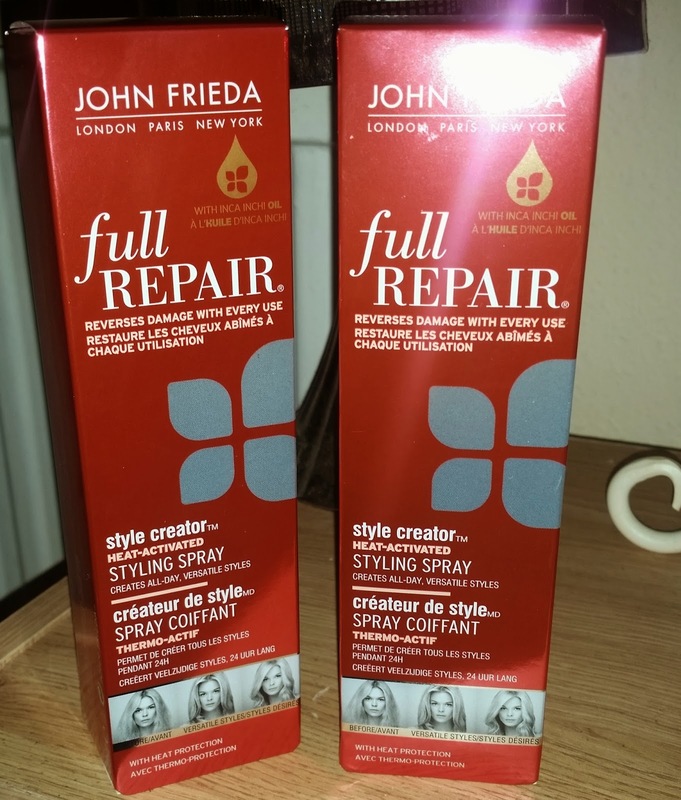 I was interested in this product as being a blonde and using heat styling tools anything saying full repair would speak volumes to me. Who would want to turn down a claim if u could put some goodness back into your locks. Right? So as i was reading the box it claims on the front.... REVERSES damage with every use, Sounds like a winner already! The detail on the back states REVERSES the look and feel of damage with every use, sounds even Better! 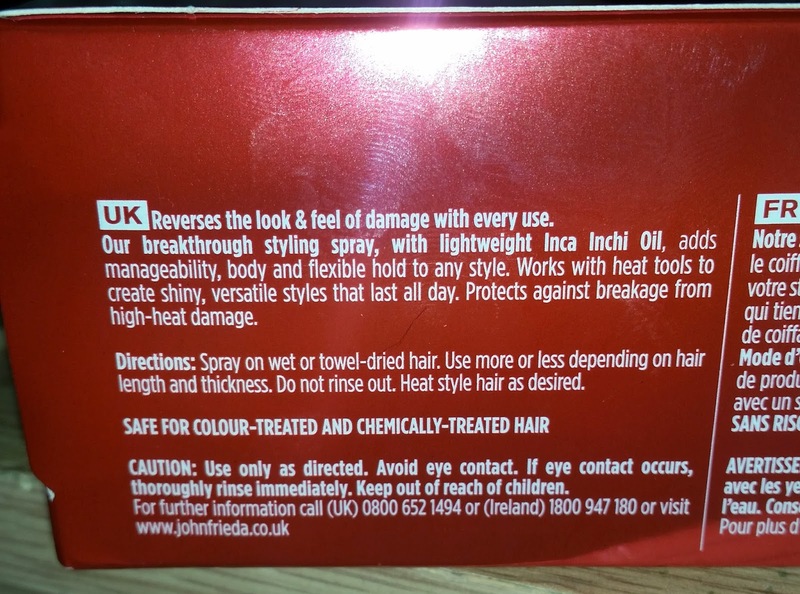 Our breakthrough styling spray, with lightweight lnca lnchi oil adds manageability, body and flexible hold to any style. Works with heat tools to create shiny, versatile styles that lasts all day. Protects against breakage from high-heat damage. You can use on wet or towel dried hair. which is a bonus as some of us do like the dye bottle more than others.....me! When spraying into hair i would apply just enough to cover all your hair and comb through making sure u coat every hair strand. Plus this works with heat tools so you know your not frying your hair to the maximum. The bottle does last quite a reasonable time so for me it is good value for money! So if your looking for a product to help protect and nourish, whilst giving your locks some loving this is an ideal product to use!